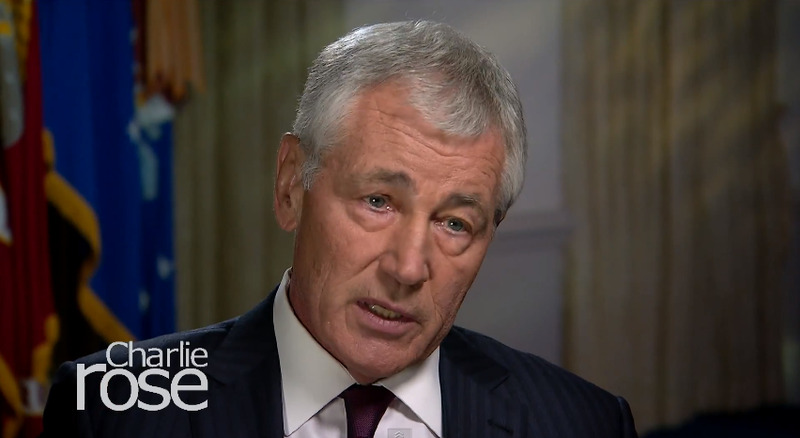 YouTubeChuck Hagel speaking with Charlie Rose on Nov. 19, 2014. 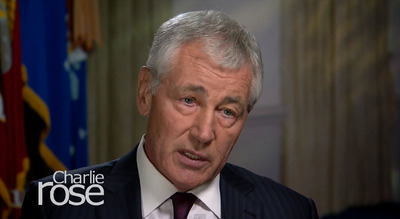 In an exclusive interview with Charlie Rose at the Pentagon yesterday, Secretary of Defence Chuck Hagel warned of the unprecedented challenges facing the United States military role on the global stage. “The world is dangerous. It is damn dangerous,” Hagel said. Earlier on, Hagel conceded to an array of US foreign policy failures read aloud by Rose from the op-ed pages of The New York Times, adding they came in response to an unprecedented and uniquely volatile global environment. Hagel went on to lament the mismatch between these unique challenges facing the DoD and its shrinking budget. Perhaps the secretary’s only prescription in the hour-long interview — which touched on the threat presented by the jihadist group Islamic State (also known as ISIS and ISIL), the approaching deadline to strike a nuclear deal with Iran, Russia’s campaign of careful aggression, and China’s growing regional ambitions — was his hope that the new Congress in January would reconsider the department’s budget cuts.